Welcome to another installment of If My Book, the Monkeybicycle feature in which authors shed light on their recently released books by comparing them to weird things. 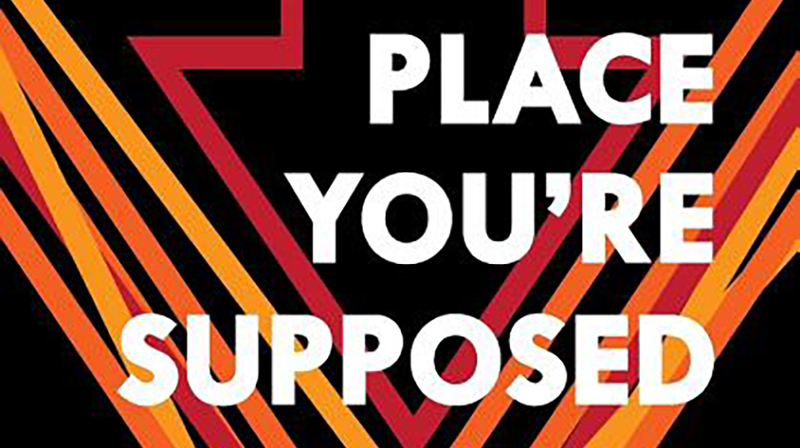 This week Jenn Stroud Rossmann writes about her debut novel, The Place You’re Supposed to Laugh, out now from 7.13 Books. If The Place You’re Supposed to Laughwere an entrée at a midmarket Mexican restaurant, it would be the combo platter. Not flashy and attention-grabbing like the fajitas that arrive steaming luridly, with myriad accouterments that crowd the other diners at your table. But a combination: a taco, an enchilada suiza, a tamale still wrapped in its corn husk. Some variety, a range of textures and flavors, which, not that you’re indecisive, it’s just: sometimes three tacos is a lot of taco. If The Place You’re Supposed to Laugh were a video game, it would be Tony Hawk Pro Skater. If The Place You’re Supposed to Laugh were a ballroom in a conference hotel it would be the Regency III, with a retractable acoustically insulating curtain separating it from Regency II. The curtain would be retracted for the plenary speaker. If The Place You’re Supposed to Laugh were a scented candle, it would be eucalyptus. That minty wafting in a neighborhood full of tall trees whose bark shears off into piles. It would make you think for a moment that someone was smoking menthol cigarettes nearby, until you remembered California had outlawed smoking in public. 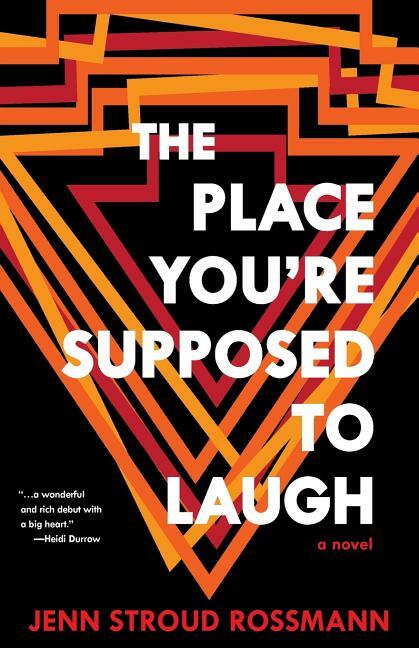 If The Place You’re Supposed to Laugh were a season it would be fall. Yes, because the pure sunshine joy of summer is giving way to something crisper, but also because fall is empirically the best season. If The Place You’re Supposed to Laugh were a Ghostbuster it would be Holtzmann the glorious weirdo. The zany tinkerer who’s clever and curious and has a mad glint in her eye. Whose good cheer is balanced by darkness and a bit of mystery. If The Place You’re Supposed to Laugh were a baseball team it would be the Oakland A’s. Not in the Canseco-McGwire Bash Brothers heyday, and not in the ephemeral Moneyball moment when a ragtag group of misfits won twenty in a row after Giambi and Damon got poached by bigger-budget rosters. Just in a 0.550 season, on a Wednesday afternoon in August when you could walk from the BART station to the stadium and get a decent seat on the first base line. If The Place You’re Supposed to Laugh were a pie it would be strawberry rhubarb, sweet without being cloying. The tartness of rhubarb a counterpoint for berry and sugar. It would be best when served warm, but also delicious after a few days in the fridge, and could be eaten for breakfast with so little guilt one could almost feel virtuous about the decision. Jenn Stroud Rossmann writes the essay series An Engineer Reads a Novel for Public Books. Her stories have appeared in Hobart, Literary Orphans, Jellyfish Review, Tahoma Literary Review, failbetter, and other magazines. Her work has been a finalist for honors including the BOA Editions Short Fiction Prize, the Disquiet Literary Prize, and Sarabande Books Mary McCarthy Prize. She earned her BS and PhD at the University of California, Berkeley, and is a professor of mechanical engineering at Lafayette College. She throws right, bats left. Find out more at jennstroudrossmann.com or follow her on Twitter at @jenn_rossmann.